Dischord is a simulated EP where the player fights waves of enemies in a musical environment as tracks progress and music continues. You control a special orb that you can use to shoot out towards enemies and retract back to you. Engage in different enemies as waves progress and the songs get visibly more discordant, eventually making your way to the end of each track. 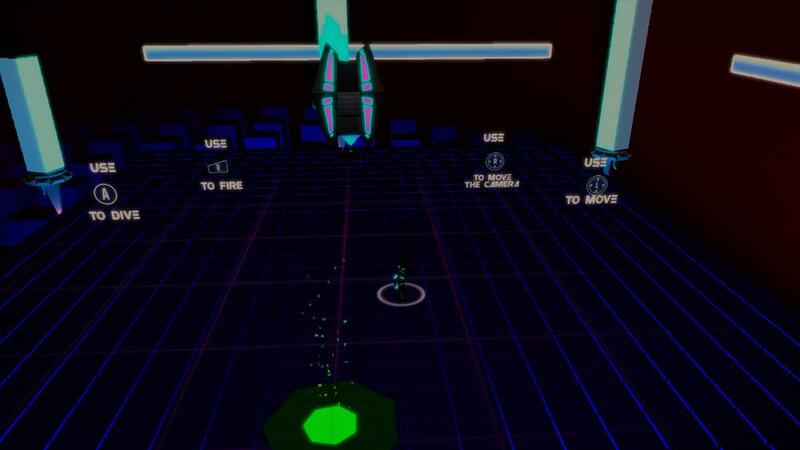 The world around you forms an interactive visualizer, responding to both enemy and your movements. This game came about from bringing some of the most talented technical, artistic, and audio students together to make a truly awesome experience, immersing players in an absolutely epic atmosphere. We looked to games like Below, Hyper Light Drifter, and Titan's Souls as original inspirations for the visual look, the world setting, and the game mechanics. As our game developed over time, it obtained a life of its own with each iteration, and we slowly gravitated more towards a game with a musical focus but with intense action moments.